The Page family tree can be traced back to London, England in the late 1600s. 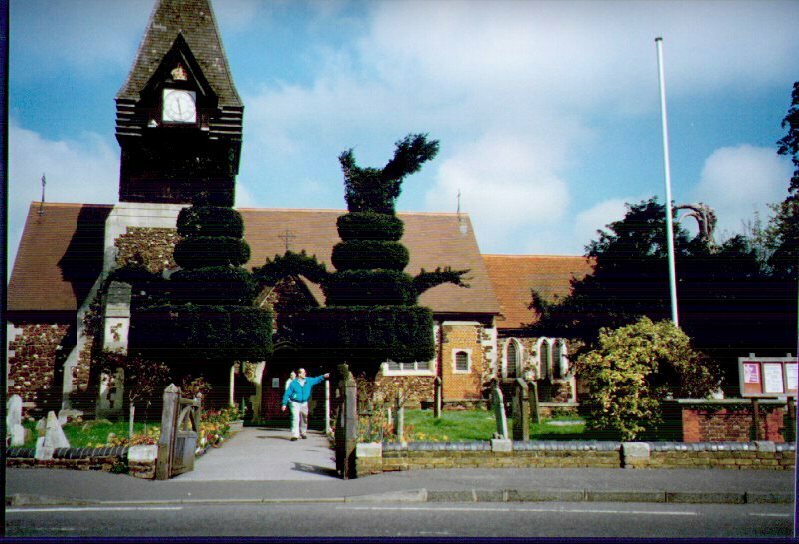 The following pictures are of St. Mary's Church in Bedfont, Middlesex County, England near Heathrow Airport where a Francis Page was buried. The tombstones are worn down but in the late 1800s a Bronze plaque with the tombstone inscription was placed on a wall inside the Church. Van, Jane, Jennifer and Stephen visited this church in 1998 and took these pictures.